At this point the PlayStation 4 is home to many quality role-playing games. From the serious tones of The Witcher 3 and the violence of Bloodborne to the eye-popping style of Persona 5 and the majesty of Horizon: Zero Dawn, there's something for just about everyone. 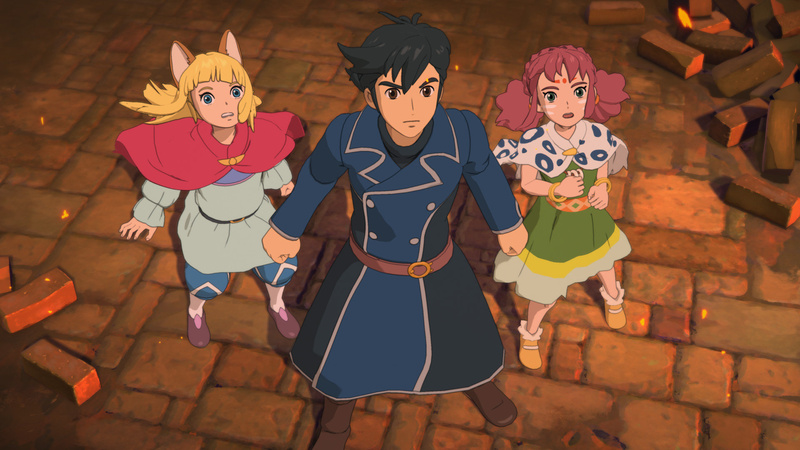 However, very few titles can measure up to the sheer charm that's on display in Ni no Kuni II: Revenant Kingdom, a game that revels in bright colours, cartoon characters, and storybook fantasy. This sequel has a lot in common with traditional Japanese RPGs, especially in terms of initial structure. You join young would-be king Evan on his journey just as his throne is stolen away from him. For the first ten hours or so, the game takes you from one fantastical location to the next as Evan and his growing band of followers decide on a plan of action. There's a lot of exploration, a good deal of combat, a few cool boss battles, and some nice storytelling. Again, it's all very JRPG. But then, once you pass a certain point, the title's true depth reveals itself as Evan is given the opportunity to create and nurture his own kingdom. Suddenly the game changes form and demands a lot more from you if you're to progress. It introduces a whole kingdom management system where you recruit citizens to your cause and funnel funds into weapon, armour, and magical spell development. All of this sits patiently in the background as Evan continues his adventure, but it's not something that you can ignore. 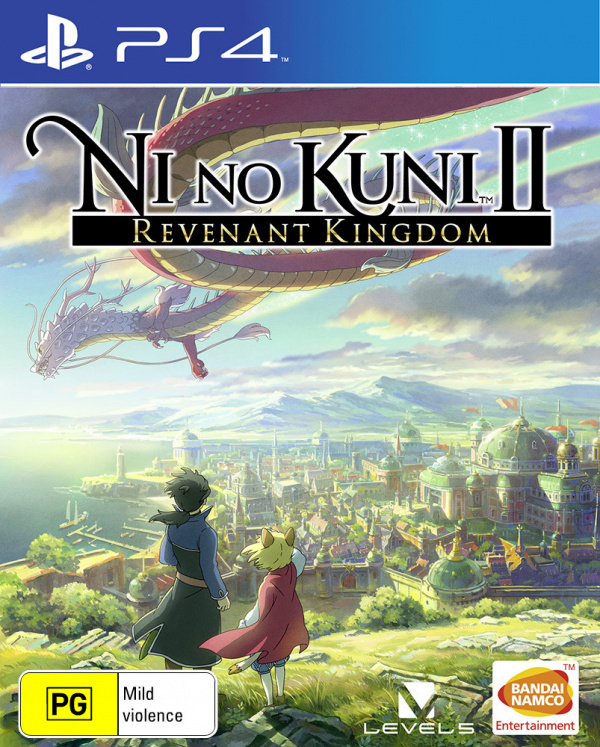 There's an argument to be made that once all of these secondary systems kick into gear, Ni no Kuni II loses its momentum. The plot slows down dramatically as you chase side quests rather than quests that progress the overall story, and it can be jarring when you've just spent a good amount of time enjoying a nicely paced narrative. It doesn't help that many of the side quests boil down to simple tasks like defeating a certain number of enemies or delivering specific items. Fortunately, the game does keep things relatively simple. Managing your kingdom is easy once you've enlisted a few key citizens, and the process actually becomes quite addictive as you get to spend more and more time with it. It's just a shame that it brings some of the title's more tedious elements -- like fetch quests -- to the forefront of the experience. 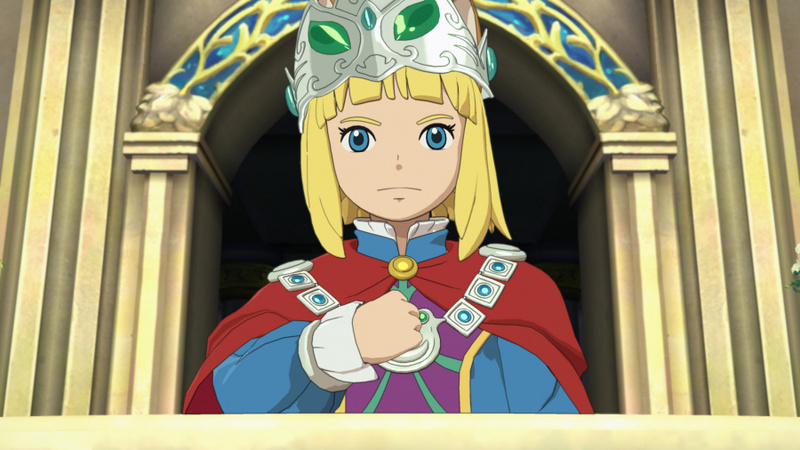 And that's really Ni no Kuni II's biggest sin: padding. There are times when you're forced to revisit old locations and carry out rather mundane tasks, and doing so can take the edge off interesting story beats or the excitement of a recent boss brawl. Make no mistake, this is still a lengthy game, lasting a good 35 hours or so if you stick to the main path -- considerably more if you want to see and do everything -- but a portion of that will undoubtedly feel like filler. 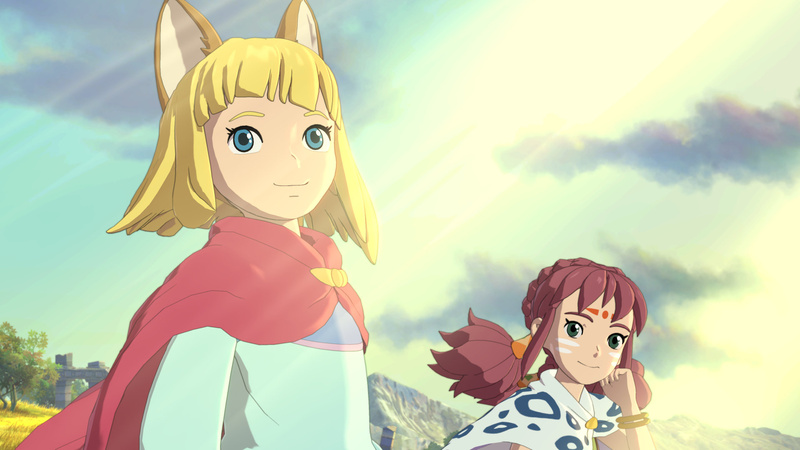 Pacing gripes aside, Ni no Kuni II is still a fantastically fun RPG, and one that can quickly nibble away at your free time. Thanks to silky smooth controls and gorgeous graphics, it's a pleasure to play. The whole thing runs at a beautifully fluid 60 frames per second, and the art style truly pops on a decent display. It's a joy to behold whether you're in combat, exploring an intricate city, or watching one of its many cutscenes. Speaking of cutscenes, it's worth pointing out that the game isn't fully voiced. Most of the dialogue is presented via text box only, but it works well enough because much of the writing is quite short and snappy. The localisation's on point, too, with a wide range of British accents making an appearance. It's proper mint, like. Moving on, the story itself does take a little while to get going and doesn't offer many surprising twists, but much like Dragon Quest, it's all told with charm and wit. It's just an enjoyable narrative to be a part of, and there are some heart-warming character moments throughout. 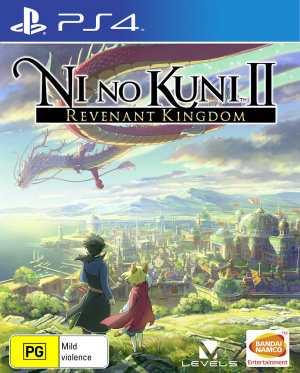 If the grittier examples of the genre have got you down, you'll likely find Ni no Kuni II to be a very uplifting experience. What's more, you don't need to play the first Ni no Kuni to understand what's going on here. This is a completely separate story that's carried out by an entirely new cast, and although there are some nods to the previous game, they're nothing more than minor references that aim to make returning players crack a smile. It's not just the story that's completely different, though -- the combat's also been totally overhauled. Gone is the hybrid turn based system of the first title, replaced by all-out action. There's no waiting around as you dodge roll away from incoming blows and retaliate with a combo or an especially flashy special move. It's pretty standard action RPG stuff, but responsive controls and some seriously satisfying attacks elevate each fight. Whacking monsters not only looks and feels great -- it's also rewarding. Surprisingly, Ni no Kuni II boasts a reasonably robust loot system, with foes sometimes dropping treasure chests containing equipment upon defeat. Get lucky and you can hoover up some powerful gear, bolstering your party's effectiveness. You'll come for the fun, but you'll stay for the loot. 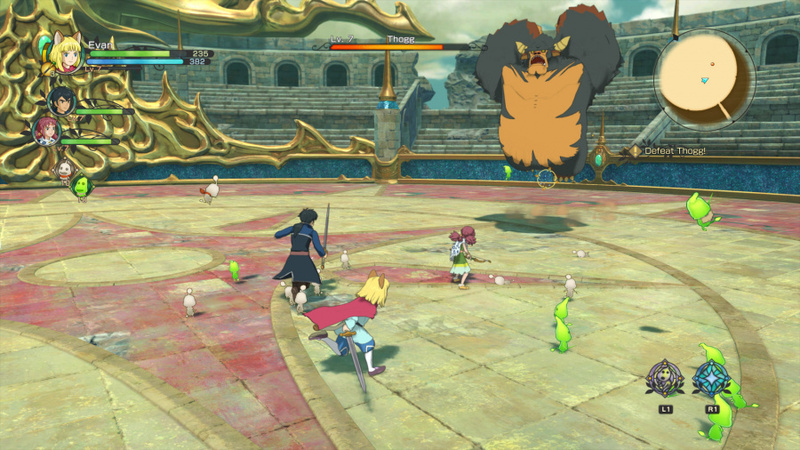 Going into Ni no Kuni II, we were somewhat worried about the game's real-time strategy elements. Not too far into the adventure, Evan is granted the ability to command a small army, and the tactical tussles that ensue take place on the world map in real time. At their core, skirmishes are quite simple, opting for a rock-paper-scissors mechanic that sees you re-positioning your troops so that you have the advantage. While it's not as enjoyable as regular combat, it's still nicely executed. Victory sees your units level up, and you can recruit more warriors as you progress further in the story, and like the kingdom building, it can become an addiction. 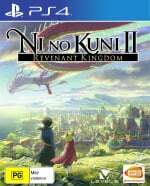 Between being a relatively traditional Japanese RPG, a kingdom management sim, and an advocate of real-time strategy, Ni no Kuni II: Revenant Kingdom could have easily stretched itself too thin, but developer Level-5 somehow manages to pull everything together and make it all seem worthwhile. This is a robust but accessible adventure that's stuffed with charm and character. A really fun combat system and gorgeous visuals top things off, making the sequel a joy to play. 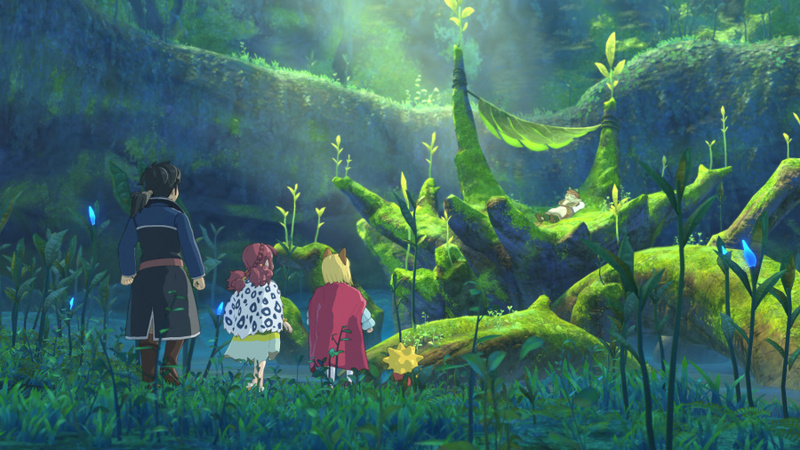 In a word, Ni no Kuni II is delightful. Good review. Despite some slight drawbacks, this sounds like another superb console exclusive for the system. PS4 is killing it in 2018 so far. If anyone's got any questions about the game or the review just let me know. Quality review as usual 👌🏾 I have the game pre-loaded and I can't wait to play tonight. Ni No Kuni is going to keep me busy till God of War. Had a little go earlier, can't wait to get upto my neck in it. Looks like it isn't as long as I anticipated buttt never mind, I'd rather 35-50 hours of quality over 100+ with a ton of grinding. @ShogunRok How 'grindy' does it get further in the game when the monsters get harder ? @oatmealwarrior92 Honestly, I barely noticed any points where I felt like I had to grind, even later on. If you do want to see everything the game has to offer you'll have to be pretty high level, but for the most part you can quite easily get enough experience through completing side quests and just fighting when you get the chance on the world map. Characters level up pretty quickly, and like the review says, even if you do find yourself having to grind a bit, it's fun because the combat's great and there's always a chance that you're going to find some really good loot. @ShogunRok you have this game now ? @ShogunRok is Kingdom building fun to do ? how good is story so far ? is there repetitive on side quests ? @porhawj2016 I wrote the review, it's all in there! @Turismo4GT I'm honestly not 100% sure, I think it's just a resolution boost. As far as I'm aware the game runs at 60fps on the standard PS4 as well as PS4 Pro. @porhawj2016 Yeah 35-40 hours is what it took me to finish the main story but I was playing through it quite fast for the review. There's a lot of side stuff to complete alongside that. If you want to do absolutely everything in the game, I think it could take you a lot longer. Maybe even double the amount of time. I'm kinda worried about the kingdom management feature, because I'm really not into this kind of game. Anyway, I already pre-ordered it, lol. @PS_Nation I was the same as you, but honestly I started to enjoy it more and more as the game progressed. Just take it easy and I think it'll grow on you. I wasn't going to bother with this game until a week ago, but the more I hear about it the more excited I am. It's looking like a real gem. @ShogunRok How is the story compared to the first game? I thought the original had some truly amazing moments: even if the last 1/4 of the game felt a little tacked on. Would you say this one is stronger or weaker in the story-telling department? Might rent this one from Gamefly first. The magament system worries me a bit. @NintendoFan4Lyf It's really tough to say. I think that the story of the first game was more personal, more character-driven, but that's because the second game takes place on a much wider scale with Evan making his own kingdom. Maybe that made the story in the first game feel like it was more in-depth. It does seem a little streamlined in this one. That said, it's still enjoyable — I didn't really find myself thinking "the story isn't as good as it is in the first game" or anything like that. @munkondi There is, you can switch to Japanese in the options menu. Will get it no doubt but probably going to wait a bit. Anyway, when you say that it has a good loot system...does the loot change your weapons and characters look? Or is it stats only? Also, what do you think feels better in the game? Japanese or english? @ShogunRok "and the majesty of Horizon Zero Dawn"
Have you even played H:ZD yet? I'm about halfway thru and it's incredible. W/o spoilers, the first game had a really stupid ending boss who came absolutely out of nowhere and made absolutely no sense, leaving my wife, kids and I sitting there saying - who the? what the? how the? Does this one have something completely unnecessary and confusing tacked on at the end like that? What's the latest on the season pass DLC? When this game was due out in January I think there were 2 parts due in spring and summer but I haven't read anything in awhile. I really want to play this, but I'm really waiting until it's "complete", whenever that is. Will probably play Ys 8 in the meantime. Damn you sir, you're supposed to say it's not good so I'm not tempted to buy it! @AFCC The weapons all have a different look but armour doesn't change your character's outfit. There are some pretty awesome looking weapons in any case. I played in English during the story, I thought the voices were good for the most part. From what I've heard of the Japanese, that's good too. Really depends if you want that kind of cheery charm of the English voice acting or not. I know some people don't really like how it sounds. @rjejr No mega dumb ending boss as far as I'm concerned, all seemed to fit well enough. And no idea on the DLC, really. We haven't heard anything about it. I assume Bandai Namco will deliver some details once the game is out. How's the music? I know Joe Hisaishi scored the first one, and I think he scored this one as well, so I'd assume the music's great? I hope! @gbanas92 The music's generally really good, some of the more peaceful melodies are superb. There are a few tracks that grate a little bit, though. There's a kind of dungeon theme that just sounds a touch too aggressive, and it starts to get annoying when you're trying to explore. But yeah, overall really good soundtrack despite some minor gripes. Hard decision for me but I think I'll try english! @ShogunRok Thanks for the feedback. Good review too BTW. The combat system of the first one won't be missed! Now my only concern are the characters, I think Level 5 is just not able to write interesting characters ...anyway I bought it! I will say the main character's pastel color palette is refreshing. He can be the spokesperson for Easter. @Onion_Knight Right you are. I'll edit my comment. @ShogunRok That's both good and a little disappointing to hear Oh well! Still gonna give it a listen! @bbtothe I found that overlevelling near the start of the game is possible and it'll make things pretty easy for quite a while, but it balanced out later on when fights got a bit trickier and more enemies were introduced. My advice would be to not grind until you feel like you might have to. Fight enemies when you see them, but don't spend ages levelling up. Should be an okay difficulty curve if you do that. Having said all that, it's not an especially hard game. I think a harder difficulty setting would go a long way for a lot of players looking for a challenge. Is there a way to catch up on the story thread once we are lost in side events for hours? A story synopsis page or the like? Playing it right now after pre-load and a wait of what seems like eternity! Loving it so far. Love the graphic/artwork style and the music is top notch too. @fontainelefunk You have a quest journal that details each main quest, and that does a good job of keeping you up to date. @ShogunRok Sorry for this question, but I'm really curious. do you prefer the first game or the new one? @ShogunRok "It's proper mint, like." Sounds canny, like. Wor lass'll proper like it. Anyway, while I'm not sold on action-y RPG combat, I'm totally intrigued by the town management bit, and I loved the first game so I'll be all over this if I ever manage to pry myself away from the steady diet of Final Fantasy XIV and Gordon Ramsay's Hell's Kitchen USA on Netflix that I'm currently on. @PS_Nation I prefer this one purely because I like the battle system a lot more and there isn't anywhere near as much grinding. I also kind of like the party members a little bit more. But a lot of that is really down to personal preference. Having played a little so far the lack of voice acting is disappointing as small amount you get is of a good standard so disappointing you don't get more of it but that was the same for the first game. another little gripe I have is the conversations on the world map general chit chat type to stuff is tiny and very hard to read. @bindiana yes the small text is annoying, even on a 55 inch tv it is hard to read. And it passes by quickly too. So instead of reading it while I carry on running I have to stop what I'm doing to read it lol. I turned off automatic virtical camera adjustment while running in the options because that annoys the hell out of me. And gotta have that rotating minimap, yo. @kyleforrester87 Um...I can't read the text at all on my 28 inch TV. @porhawj2016 I thought exactly the same. I was expecting to see a 9 or a 10 and was slightly disappointed to see an 8 too. I dunno why because 8 is a great score but I wanted higher for this game. He's got to be one of the best ever videogame sidekicks for sure! I agree what you say tho. Oliver captivated me right from the beginning of the first game due to the personal nature of his adventure. @Feena spot on there. If they can get even close to another drippy then I salute them. One of the best, funniest characters ever imo! @Kidfunkadelic83 I loved drippy! He has all the personality the party members lacked... One of the best sidekicks ever for sure. @ReanSchwarzer7 well this specific text only appears occasionally. The vast majority is bigger and fine. "And no idea on the DLC, really. We haven't heard anything about it. I assume Bandai Namco will deliver some details once the game is out." So I've been debating which JRPG to play in July - XC2, YS VII, Shining Resonance Refrain or NNK 2. I've been putting off JRPG of late waiting for the DLC to release but I'm in the mood now. NNK2 was supposed to release in Jan w/ DLC in spring and summer. The game got pushed back to March but I can't find a thing on the DLC yet and the game has been out for 3 months. Seems like they took people's $20 for the season pass and gave them absolutely nothing in return. And I didn't see anything about it at E3, which all Nitnedo showed at E3 seemed like DLC. Anyway, DLC aside, you still standing by the 8 score 3 months later? I can get it on Newegg for $35 for 24 hours - normally $60 so it's a bargain. I would have bought it already if no season pass, or I at least knew what it was going to be, 2 side stories is all they ever said. Thinking about buying it, finishing it, trading it in and forgetting there ever was mention of a season pass. @rjejr Yep I still think it's a delightful game overall, but I'll admit it's struggled to stay in my memory. Well worth a shot at a lower price if you like your JRPGs I think.